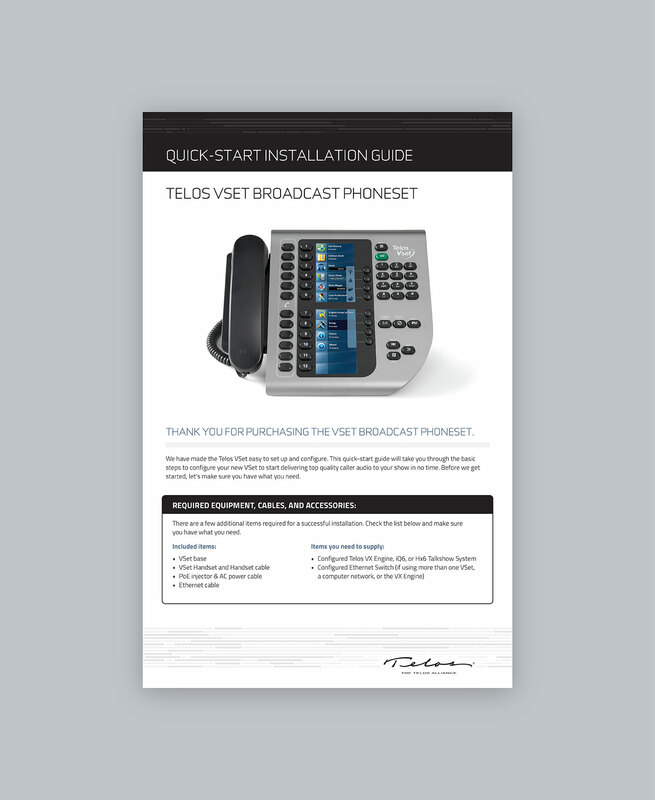 For three decades, the Telos Alliance has developed cutting-edge audio technology for radio and television. 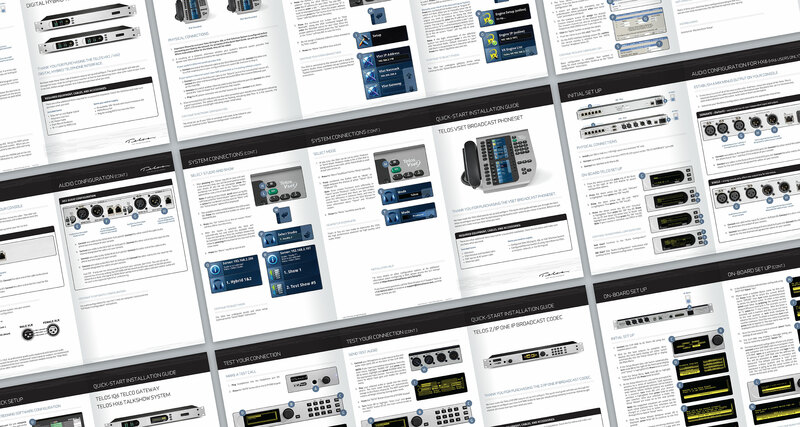 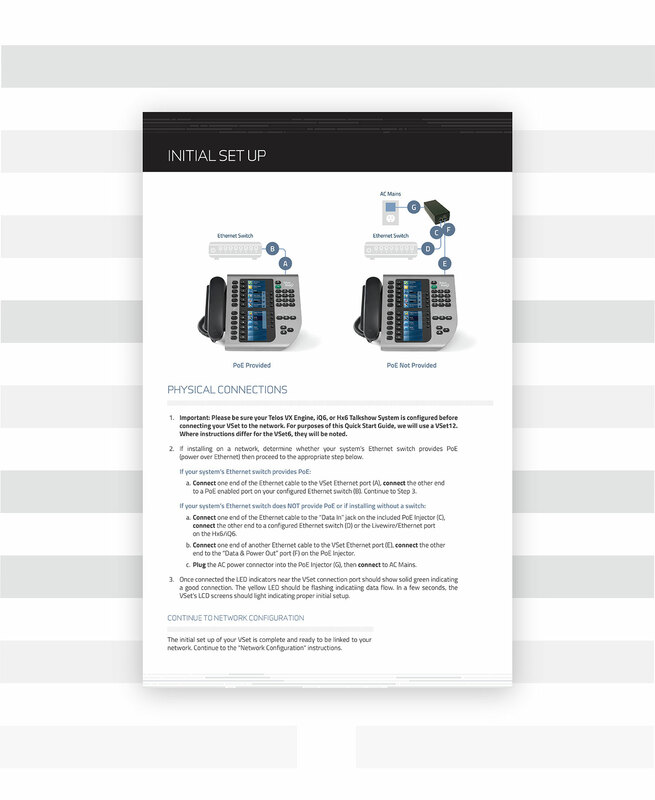 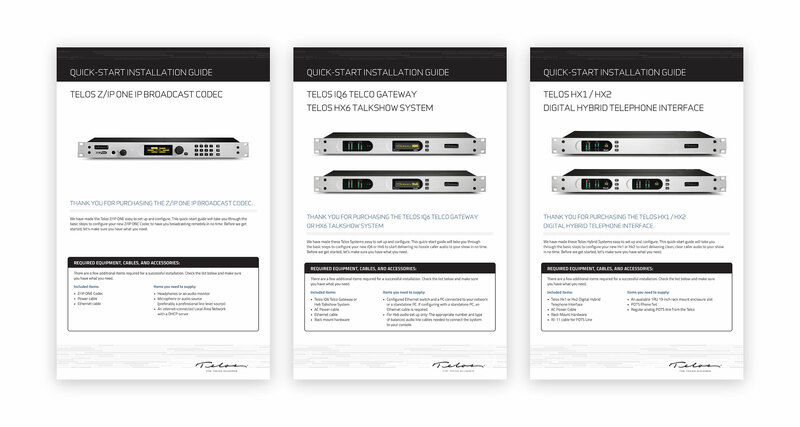 From copywriting to design and layout, we created easy-to-follow quick-start installation guides for each of their products. 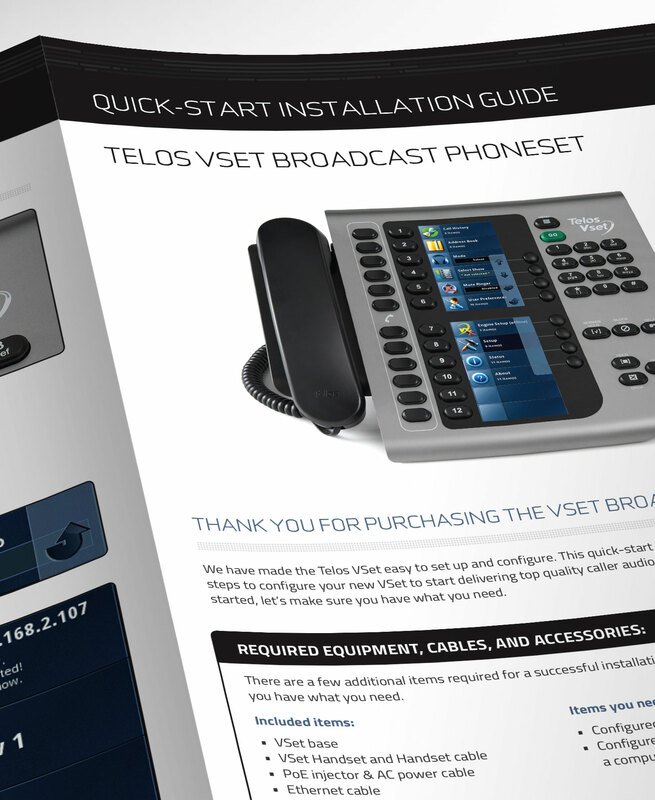 Clear directions paired with streamlined visuals are instrumental for the quick-start guide’s effectiveness. 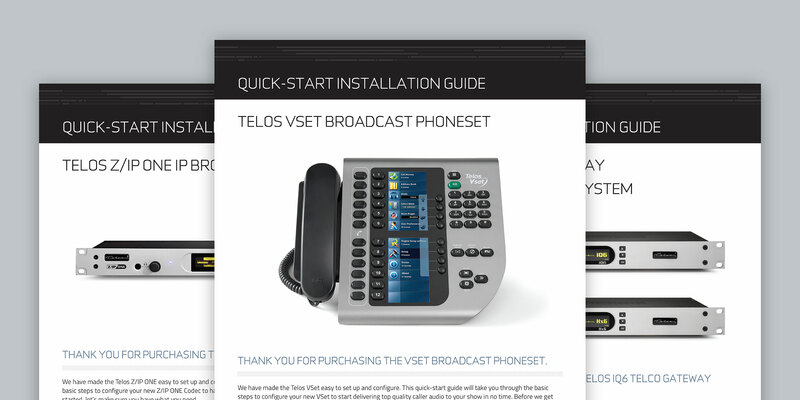 Our task was to design smart, consistent visuals that quickly and simply guide users through every step of the process, ensuring a successful installation.